We moved from New York to Sweden earlier this month. 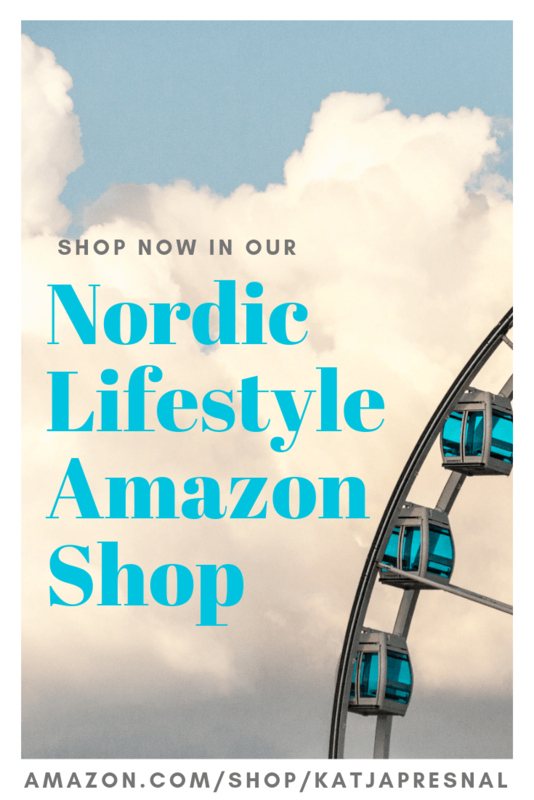 Icelandair offered the cheapest flights from New York to Stockholm, and they also made it possible for kids and I to start our European adventure from day one. 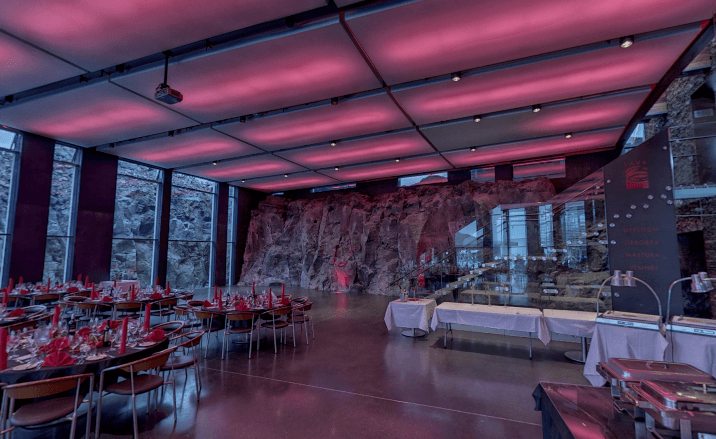 We took an advantage of Icelandair’s free stopover in Reykjavik, and spent an amazing 24 hours in the exotic island nation. 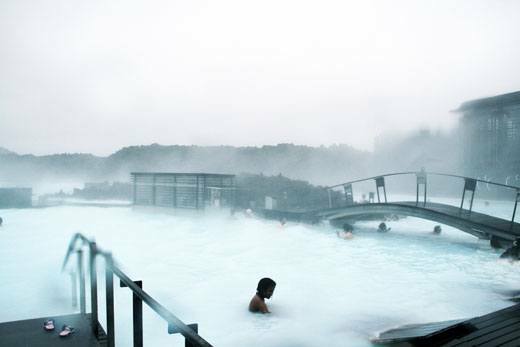 We of course could have had a stopover in London, Paris, Amsterdam or Frankfurt am Main as well, but not with the same budget & unique experience swimming in the hot spring at the Blue Lagoon! Our flight arrived early on the morning and it was still pitch black outside. I had been at the Keflavik airport before, but kids were impressed by the wooden floors and everything being so “fancy”, like the bathrooms having economically designed flushes. 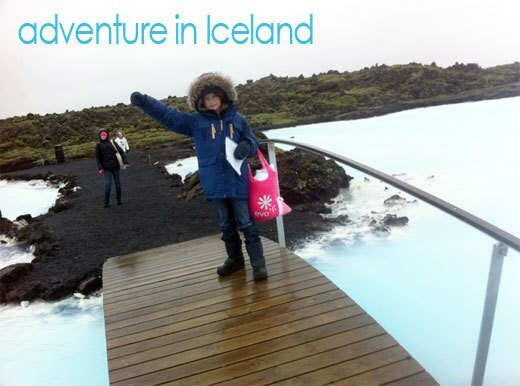 True story – my son was impressed by Europe from the minute he stepped off the plane in Iceland and used the loo, and he has been determined ever since that everything is fancier this side of the pond. 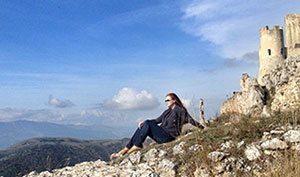 We had reserved a taxi from the airport to the Blue Lagoon Clinic Hotel, and even though I had mentioned when making the reservation that we had LOTS of luggage due our move to Sweden and we needed a LARGE vehicle, we were greeted by a smallish station wagon. I gracefully apologized our huge amount of luggage, and asked if we could get another taxi. I know the taxi drivers were laughing at us “stupid Americans” with a lot of luggage, and I could have easily lost my temper… but 30 minutes later another taxi driver with a large van showed up, and he was the nicest taxi driver ever. He helped with our luggage, and told us details about Iceland and what to expect during our stay. It was still dark when we arrived at the Blue Lagoon Clinic Hotel around 7:30 on the morning after about a 25-minute drive from the airport. 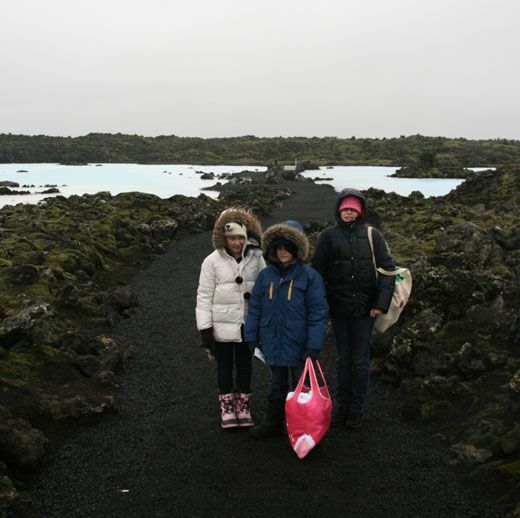 We didn’t see the lagoon, all we saw was the black lava field surrounding us, and we didn’t really know what to expect. The hotel staff knew we were coming early, and while our room wasn’t ready at 7:30, we were able to eat breakfast the the Blue Laguun Clinic Hotel breakfast buffet and relax a bit after our long flight before getting our room around 9AM. The typical check-in time for them is at 2PM, and I was impressed we were able to get the room so early. The above picture is taken from the veranda of our hotel room first thing on the morning – all you can see is the lava field covered in moss, and darkness. The picture below is Kris standing on the veranda thirty minutes later when the first rays of sunlight started coming out. There was something truly unique about the surrounding 750 year old lava field.. very serene. The Blue Lagoon Clinic is a special skin treatment clinic close by the actual Blue Lagoon, and it has 15 additional rooms for non clinic patients. I read a lot of hotel reviews and did a lot of research before deciding to stay at the Blue Lagoon Clinic Hotel, and I’m glad we did. The experience was amazing, and the customer service was excellent. The room was close to $300 with one extra bed (which we didn’t need). While $300 for a hotel room may sound high, it actually isn’t for four – most nice hotels close by were expensive, the selection is small, where to choose from, and most didn’t offer accommodations for family of four in the same room. (You can see the Blue Lagoon Clinic Hotel’s prices here, they start at $188/night.) 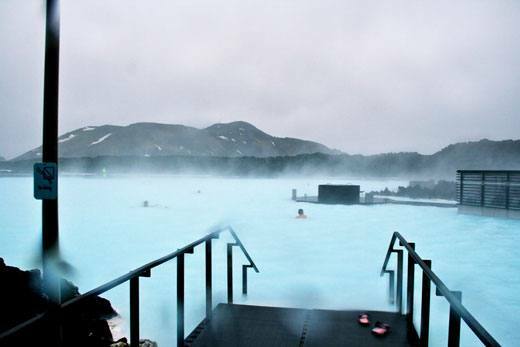 All hotel guests get a free breakfast and a pass to the Blue Lagoon hot spring (The entrance fee is 30 euros/40 dollars per adult, kids under 13 free), and to use the clinic’s private lagoon for two hours on the morning and two on the evening. 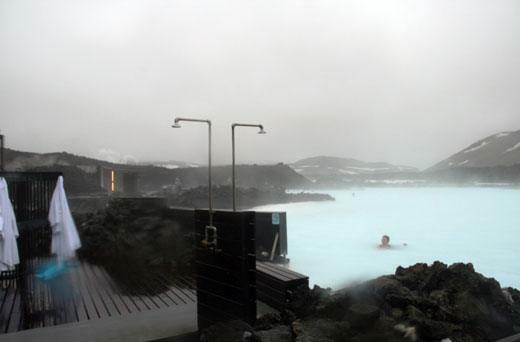 A lot of the reviews said it is much better/more private than the actual large Blue Lagoon, but we didn’t even try it. I LOVED the fact that we visited Blue Lagoon in February, and while we were hoping to see the Northern Lights or to get some snow, the weather was cold and rainy, and gloomy in every imaginable way. And it couldn’t have been any more perfect. 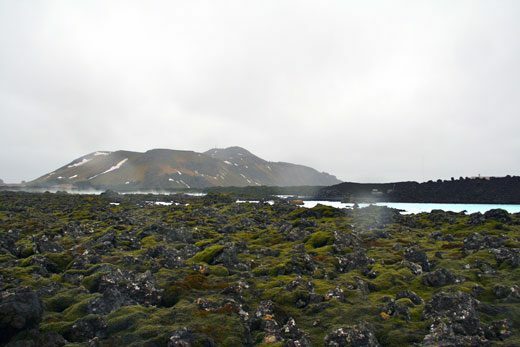 The walk from the Blue Lagoon Clinic Hotel to Blue Lagoon takes about 15 minutes and it’s pretty much just a path through the lava field. 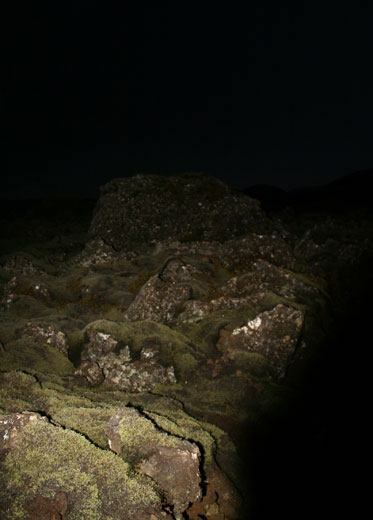 It has small lights for the night time, but I was prepared and brought a flashlight for the evening when we walked back, and I highly recommend it, especially if you travel with kids, the walk back was dark!! It’s hard to believe that we are all bundled up in our warmest winter coats in this picture – and we are on our way to swim outdoors! 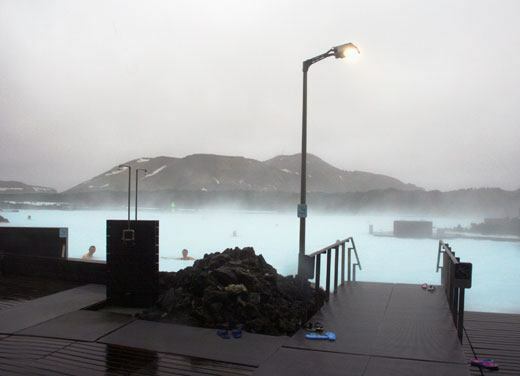 Once we got to Blue Lagoon, we got electronic bracelets that allowed us to get lockers and also pay at the cafe next to the hot spring. We also got towels, and a bathrobe, but no slippers/flip flops – there was a gift shop where you can buy flip flops if you wish. I recommend bringing your own. The best about the cold and windy weather was that the Blue Lagoon wasn’t crowded at all, and it was such a serene experience. Kids and I swam around the hot spring, smothered the white silica to our faces to make our skins soft, and enjoyed the various saunas around the hot spring. We took a lunch break, and did it all again. It was raining, and unfortunately I didn’t take many photos because I didn’t want my camera or phone to get all wet, but here are a few shots that I quickly took, wearing only a swimsuit in the cold rain. We spent the entire day at the Blue Lagoon. I forgot to bring my own shampoo and hair conditioner, and whatever we used.. was horrible, and our hairs were such a rat’s nest afterwards. While the silica and the water in the natural hot spring is great for your skin, not so much for your hair. Do not forget this: bring heavy duty hair conditioner with you. 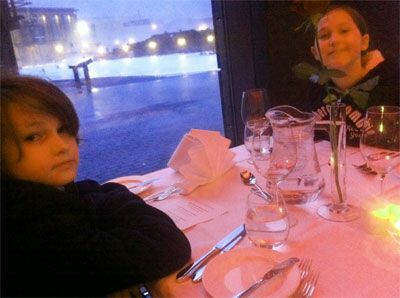 We ate at the LAVA restaurant that is in the Blue Lagoon. We were starving and beat from traveling from New York and from swimming in the hot spring the entire day. And we practically wanted everything in the menu, so we decided to have a little menu tasting of our own, and we ordered several appetizers and everyone ordered a different main course so we were able to get the real taste of Iceland even in our short 24-hour trip. The sushi and sashimi were excellent, and I could just imagine how fresh it was. The house smoked duck was buttery and I loved how duck was combined with mango sauce, even though it wasn’t my favorite appetizer. I hadn’t had blue ling before, so I had to taste this fish dish and I’m glad I did. While the ox and the beef tenderloin were perfected, the blue ling was an amazing fish dish that even my son who typically doesn’t like fish loved it. After the amazing dinner at LAVA, we walked back to the Blue Lagoon Clinic Hotel and had a great night’s sleep before leaving Iceland 7AM the next morning. I couldn’t have imagined a more perfect beginning to our adventure in Europe. 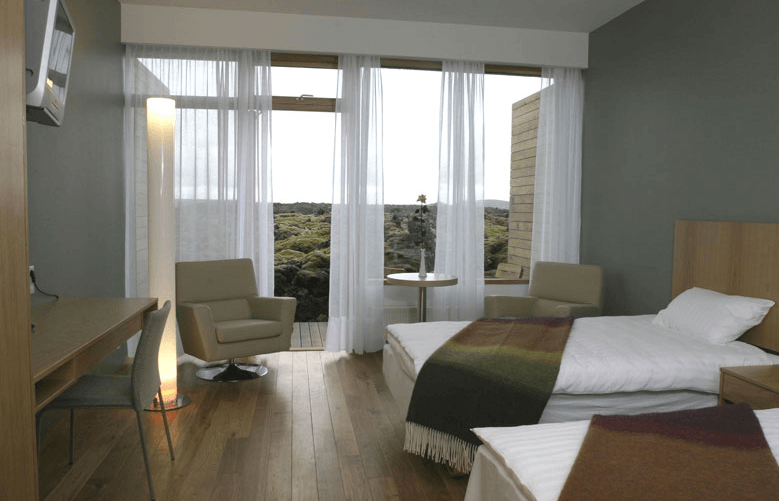 24 hours in Iceland cost us four around 600 dollars and it was full of indulge and we didn’t look at the price tags. You can EASILY cut this price in half by eating cheaper, and using a bus instead of a taxi. Hotel: $300 (double room with extra bed). Swimsuit, water resistant camera if you can, flashlight, flip flops, hair care products. Hi Lana. I did contact the Blue Lagoon spa directly and reserved my room with them. They also helped and did the car reservation for me, but I paid it directly to the car driver. We didn’t pay extra for the early check in, nor the breakfast on the first morning, but we left so early the next morning that we couldn’t/didn’t have had breakfast then. We did get towels for free, but we didn’t get bathrobes or flip flops for free. Wow. What an adventure. What a novel you are living. You should be congratulated for your courage. And your zeal! Wow, I am adding this to my bucket travel list :) What an amazing adventure! 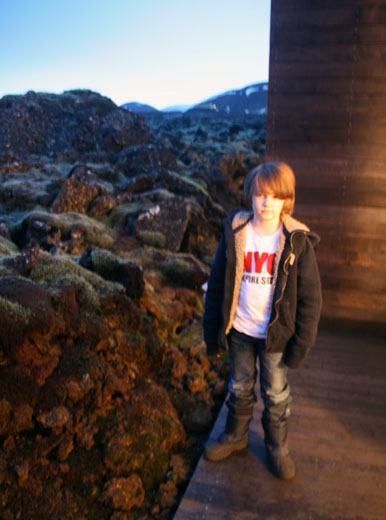 Oh, I really want to pack the kids up and come visit you- via Iceland, of course! wow, stunning! it makes me want to pack my bags and head on over there! Wow, that looks incredible Katja. The kids (and you) are getting experiences that are just amazing.